Hola Estrellitas! I have amazing news for you guys today! 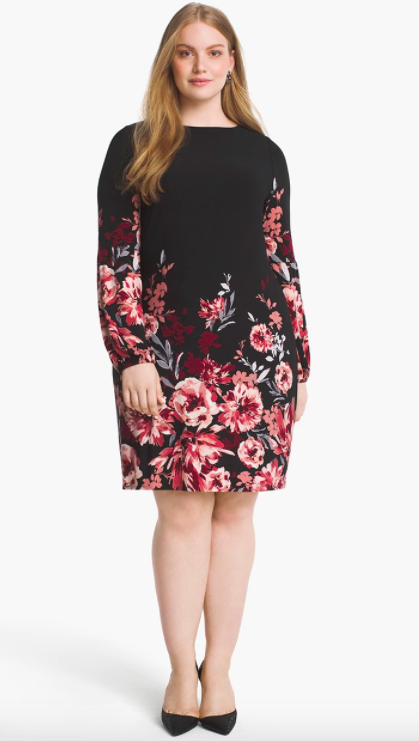 White House Black Market (WHBM) has expanded their sizing, just in time for the holidays and added plus sizes, up to a size 24 (1x to 3x). This is great news because WHBM is known for their elevated style and quality. For now, the plus size collection is only available online but hopefully, if it does well, they will bring it into the stores soon. WHBM said in a press release: “From day one, White House Black Market has been about women — it’s a brand born of women, led by women and dedicated to serving women — so it was a natural fit to expand into Plus so they can make every woman feel confident and powerful to take on their day”. The price range of the items is from $42 to $220 dollars and it includes jeans, dresses, jackets, and more, it is a full range line. To kick off the launch, WHBM is offering FREE Shipping and FREE returns on plus size orders, so take advantage. Check out a few of my favorite pieces below and shop till you drop at www.whitehouseblackmarket,com.